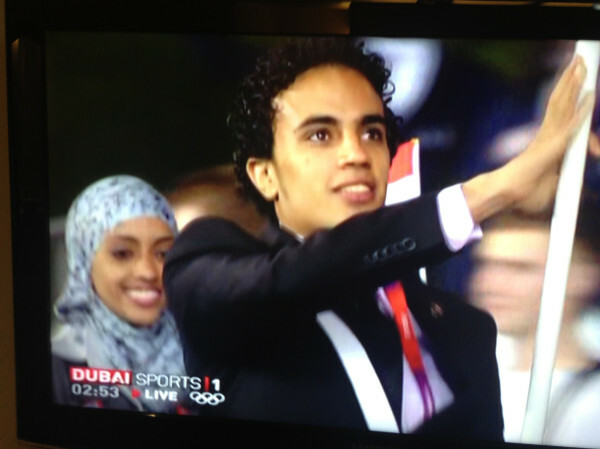 Yemen's Olympic team made it and they just marched among all the other teams joining the Olympics in London this year. It's such a happy moment for the team and millions of Yemenis out there. There was a tweet from a non-Yemeni claiming that this was Yemen's first time to compete on the Olympics ever; which is totally not true. Just for the record, I'd like to point out that Yemen has been several times to the Olympics. Please don't underestimate our rich history. You can read about that here. I came a cross a lovely blog that is dedicated to Yemen's Olympic team. You can know more about that here. Ali Khousrof, one of the Yemeni athlete has a very extraordinary story of how he was so determined to join the Olympics after he survived a bloody crackdown on protesters last year in Sana'a. You can watch him telling his story in Iona's blog post here. 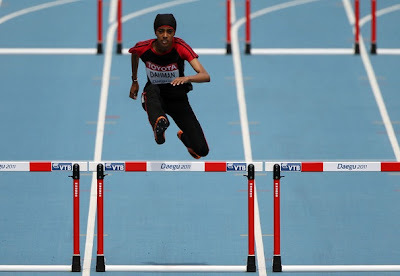 But, Of course, my favorite Yemeni Olympic athlete is Fatima Sulaiman Dahman who is going to competes in (Women’s 100m). Overall, I wish them all best of luck!